The Kills have returned with a new single, delivering a pair of cover tunes. The duo's latest release features a new version of Saul Williams' "List of Demands (Reparations)," backed by a version of Peter Tosh's "Steppin' Razor." Alison Mosshart and Jamie Hince have been regularly playing Williams' song as part of their pre-show pump-up playlist, gradually absorbing the full meaning of its personal and political calls to action. "It's a song of strength and empowerment, rooted in the idea of rising above," Mosshart said in a statement. "It was one of those songs you're almost scared to cover, because it carries so much respect. It wasn't a straight up love song or a drug song. It was defined, serious, and perfect already. With certain songs, you feel like an intruder trying to sing them, but this one felt like my own." Williams has given the new rendition his stamp of approval, adding: "I'm honoured. 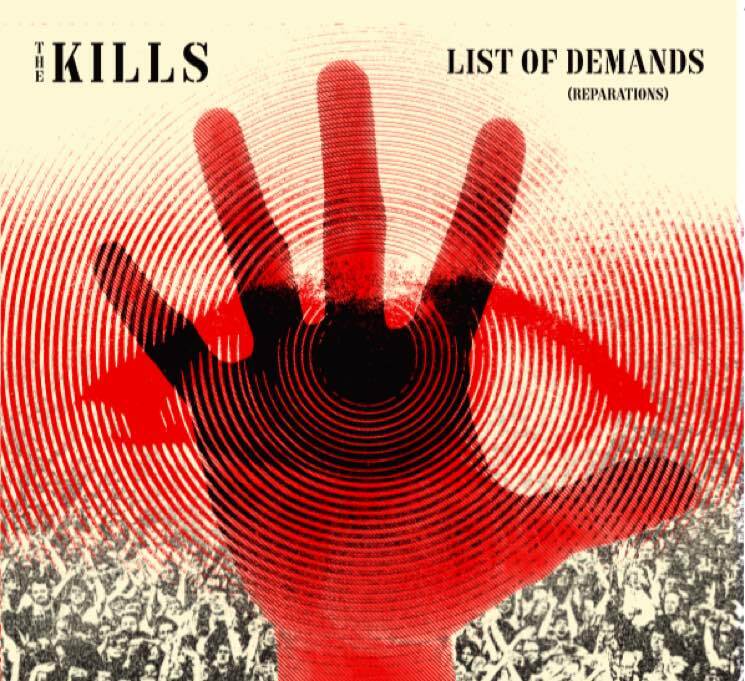 I liked the Kills before they chose to cover 'LOD.' If they can feel themselves in that song, it's because they are as much a part of it as I am." The Kills' latest single will get a physical 7-inch release tomorrow (March 2) via Domino, but you can stream the two-song offering digitally right now. Give it a spin below, where you'll also find a newly shared video for "List of Demands (Reparations)." The band's last full-length album was 2016's Ash & Ice, though they also released the Echo Home EP (featuring a cover of Rihanna's "Desperado") last year.